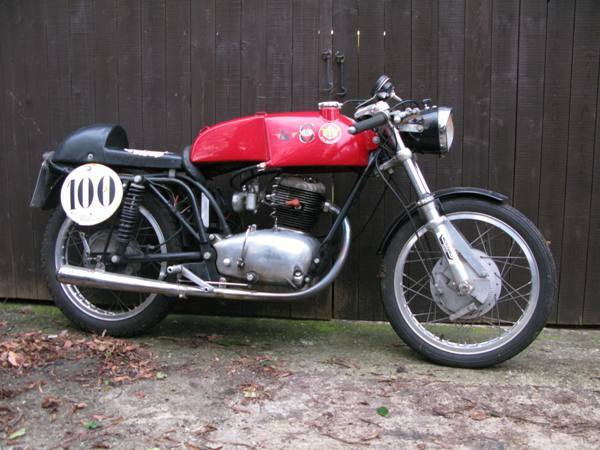 I'm lucky enough to have several bikes in my shed that are, in my eyes and those of other enthusiasts, desirable. To others they may just be old junk. This Gilera is a medium term resident though it does not belong to me. Any time a visitor first enters the den their eyes are drawn straight past my beloved Velo and Dominator to the little Gilera sitting in the corner. There is something compelling about it, maybe it's the extravagantly large and red tank makes it stand out amongst the more sober British metal. 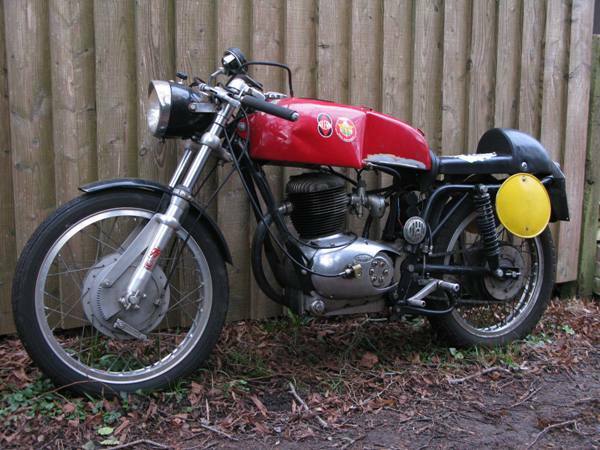 Maybe it is because it looks like a baby version of the mighty Gilera four racers of the fifties. 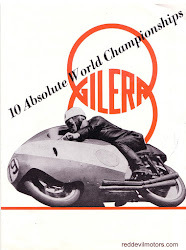 The Gilera is the property of good friend James Forrester aka Paris Patois, Patois de Blanc, the Blues Shadow, bon viveur and polymath. It bears the scars of several Moto Giro d'Italias and much enthusiastic use. 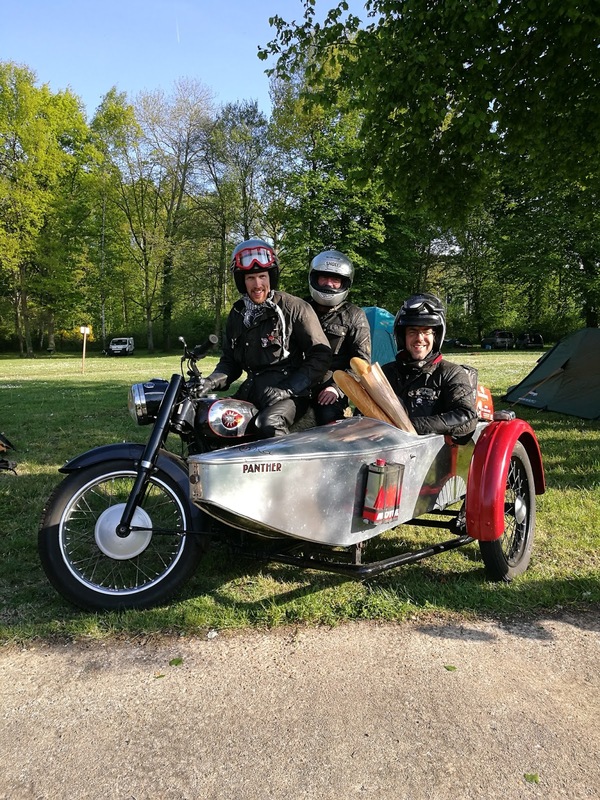 The bike was built up in Italy, resided in France, and then moved to England where it currently resides before heading over to the States to rejoin its owner. By no means original it is none-the less a pretty special piece of kit. The builder must have had shares in vintage italian bike spares supplier Menani as it carries a good number of their definitely not cheap goodies. 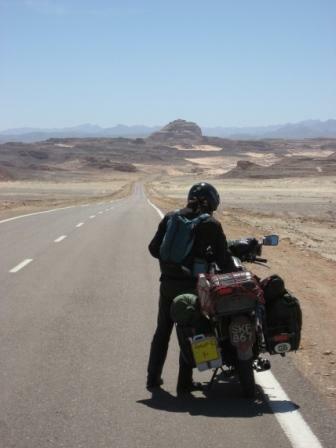 The dry clutch set up is original but forks, tank, front wheel and rev counter are all modifications. The front brake is a rather vicious double sided Grimeca set up that needs to be treated with extreme caution. Forks are Cerriani and the rev counter is a pretty white faced Veglia item. Though nowhere near the most exotic engine format of period italian lightweights, the Gilera motor is the engine of choice for the knowledgable italophile seeking the best compromise of performance and reliability for long distance street racing. 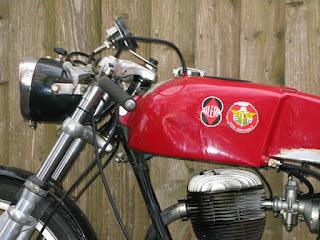 It's wet sump with a decent oil capacity and though styled as several other small italians of the time to ape the clean lines of a two stroke motor it is an ohv. Unusual only in that the two valves are parallel. The Gilera has been undeservedly neglected for too long. It sat a good year in another friend's shed near Brighton where it became coated with a strange brown mold. Then it moved over to my shed where it was cleaned up, oiled and then sat again for another year. Finally last month it came out of hibernation, received a check over, oil change, fresh fuel, carb clean and new battery. Bump start only it cracked into life very readily with a more than healthy bark. Definitely one to annoy the neighbours with!